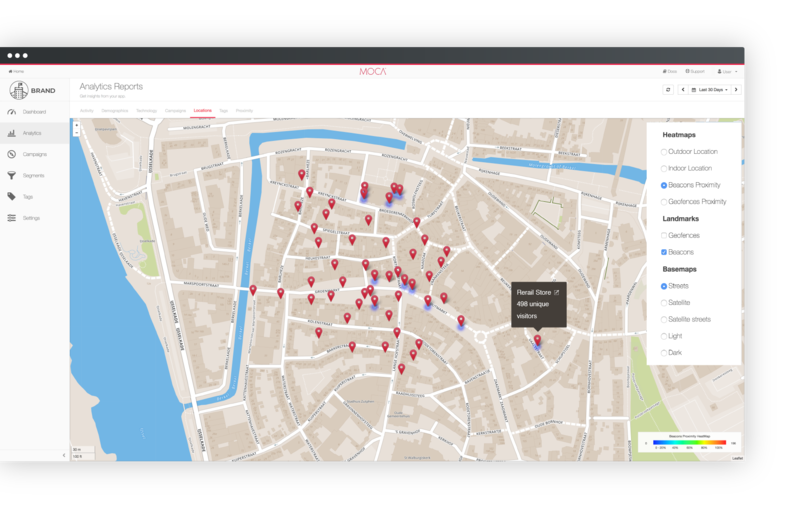 MOCA uses location technologies to build “customer journey maps” and act on your customers in real-time providing an omni-channel experience. We transform location data into actionable business insights that help you scale your business faster, fueling greater growth. Identify customers based on the routes they take and places they frequently visit. Used it for retargeting customers who have already visited your geo-locations or track visits to your competitors’ stores and other points of interest using one single dashboard. How mobile users arrive at the brick-and-mortar store? Where do they go afterward? What locations do they usually visit frequently? Provides real-time location report on number of visitors and visit per point-of-interest defined as outdoor geofences. 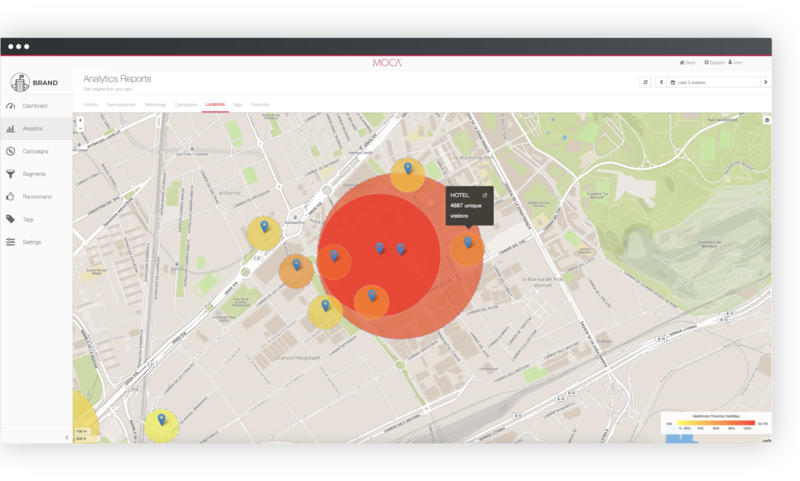 A Geofence is a virtual boundary designed to track users as they enter, leave or dwell your venues. Enables real-time location analytics report that shows density of mobile audience in a determined time interval directly over a map. The report is generated from location data collected from opted-in mobile app users while they pass through arbitrary locations. Micro-Locate customers in your venue by identifying the routes from stores, zones and floors they take and frequent. This powerful feature is used for venue owners such as shopping malls, airports, museums, and stadiums. Use this beacon proximity report to measure visits, visitors, average visit length and other engagement metrics you will need to make data-driven decisions and drive conversions. 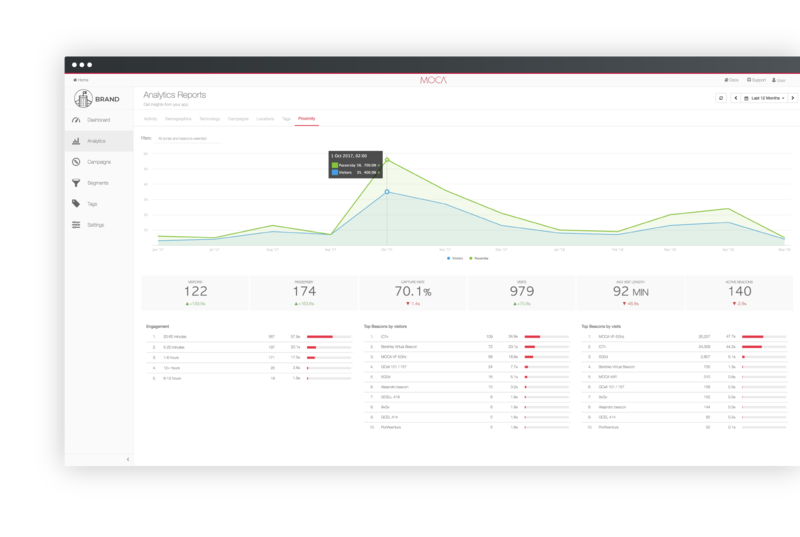 It enables real-time proximity report to quickly view the number of unique visitors per beacon and point-of-interest. It also allows you to detect the hottest areas to quickly compare the number of visits in all your locations. 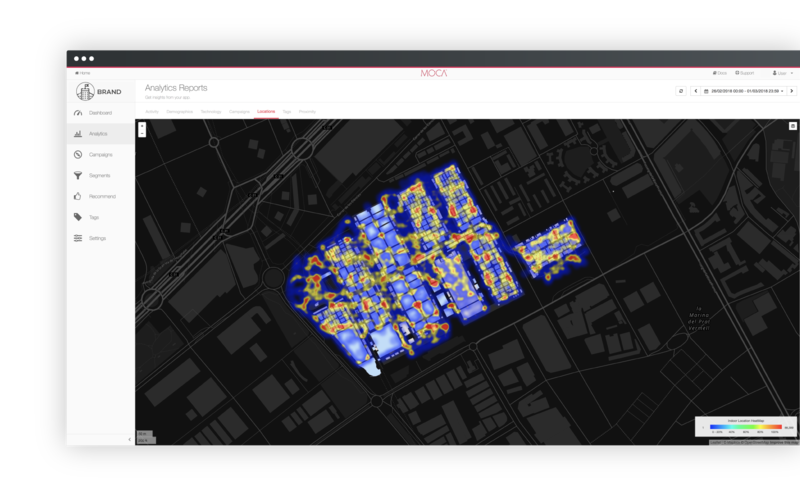 Provides real-time data on visitor density over a digital floor plan within a physical venue (e.g. Malls, Stadiums or Airports). This feature requires third-party integration with advanced indoor location systems. 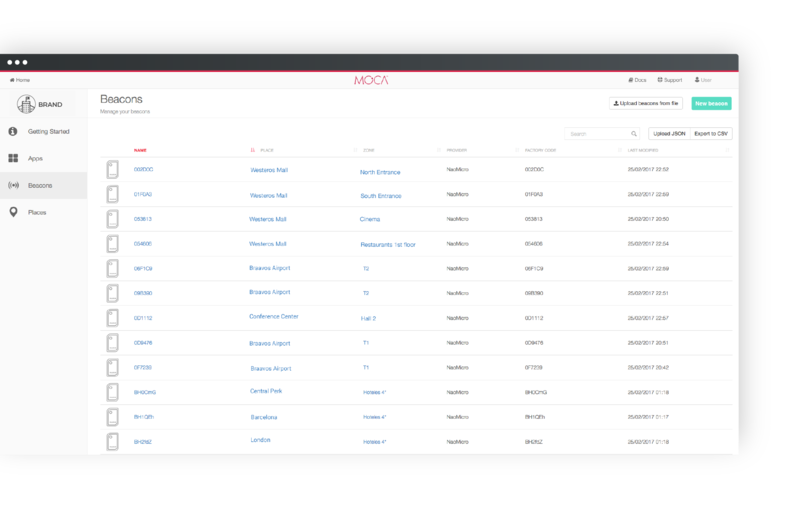 Currently, MOCA is partnered with Pole Star and works seamlessly with their NaoCloud Indoor Location Service. Enrich your customer data with location information that will help answer business questions. 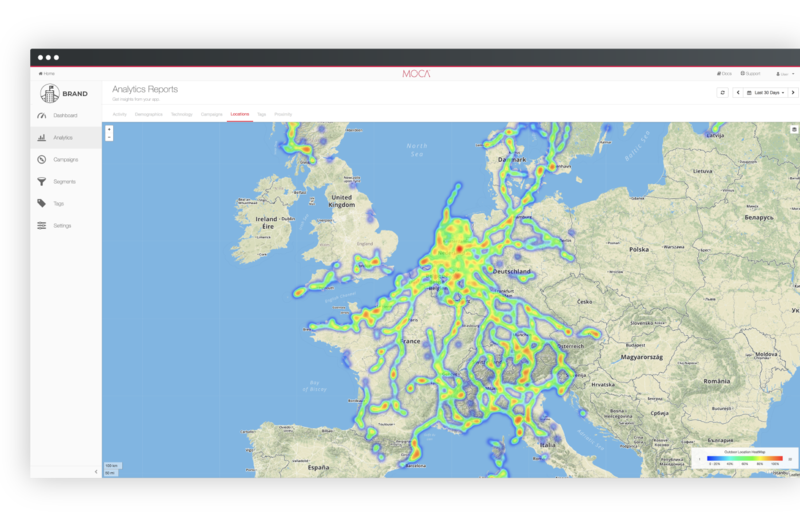 MOCA has built different visualizations with your location data and is fully GDPR compatible. It allows you to detect when a person visits physical place, gather insights on their behavior and their offline interactions.